Ron Surz uses a thought experiment to clarify sequence of returns risk and its perilous implications for target-date investors. 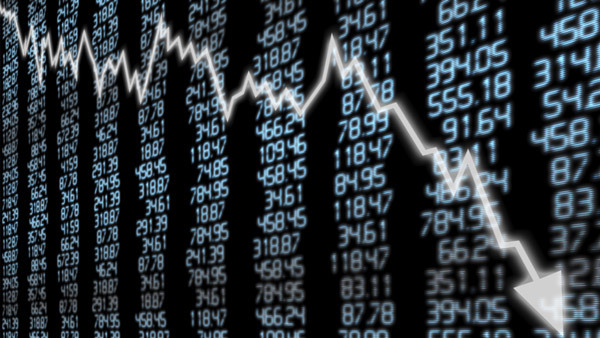 A market crash hurts most in the 10 years surrounding an investor's retirement date. We recently advised readers of an obvious but overlooked retirement risk — what retirement planner Dirk Cotton calls sequence of consumption risk. Now Ron Surz, target-date fund expert and alert ThinkAdvisor reader (and contributor), warns of another obvious but overlooked risk related to sequence of returns — in fact, the very thing he says that gives the risk its potency: namely, high account balances. “The thing that impacts the effect of the sequence of returns is the size of the account at the time of return,” Surz tells ThinkAdvisor in a phone interview. Noting the difference between accumulation accounts and retirement accounts is that balances are highest for the former at the ending point and for the latter at their starting point, Surz suggests a “Benjamin Button” type experiment that reverses the sequence of returns on these portfolios. But now hit the Benjamin Button and watch the savings accumulate in reverse, from 2008 to 1970. The same saver now winds up with $1.2 million — a whopping 50% more — even though he started his savings with the disastrous market year of 2008, which shrunk his initial contribution. But Surz’ explanation for this makes intuitive sense; it’s the account balance. Losing a chunk of that $2,000 is less damaging than losing the same percentage of an over $1 million account. “The returns that occur when account balances are high are much more critical than when account balances are low,” says Surz. So later matters much more than earlier during the accumulation phase and conversely earlier matters more than later in the better known sequence of returns risk in retirement portfolios. “In this case, our representative participant invests more conservatively, with 40% in equities and 60% in bonds and cash, and withdraws 5% of the initial fund balance and increases this amount by 4% per year,” is how Surz describes our retiree. This 1970 retiree had a good 39 years, with his initial $500,000 balance growing nearly tenfold despite 2008’s big ending losses. But in the Benjamin Button scenario, using the 2008 through 1970 sequence of returns, the retiree exhausted his portfolio after 31 years (in “1976”) though he is 97 and has 8 years to go in the 39-year hypothetical framework. The pension consultant’s meta point is that the primary window of vulnerability to sequence of returns risk occurs within a 10-year period encompassing the final 5 years of accumulation and the initial 5 years of distribution — the time when portfolio balances are highest. “2008 was a wake-up call; we should have learned a lesson,” he says. “It’s become a horse race,” adds Surz, lamenting that the main fund companies selling target-date funds have what in his view are dangerously high equity allocations at the end of their glide paths. The Big Three TDF companies want to compete on the basis of high returns, which they can achieve through high equity allocations. In the aggregate, Surz agrees, a higher equity allocation will bring about higher returns. “If I run thousands of simulations, risk does get rewarded. But I don’t get to go through life a thousand times,” he quips about the risk to an individual retiree caught in a bad sequence of returns. “The next 2008 is going to be even worse than in 2008 for target-date fund investors,” Surz warns. Milevsky: What Is a Proper Spending Rate in Retirement?